Aside from schoolwork, there always seem to be a new problem my kids need fixing facing the school year. Whether it’s a new trend they want to test out or a cool thing for their lunch (or a hot one as the case may be), the kiddos always keep me sweating. For a recent segment for the Rachael Ray Show and her first-ever Human Lab Kids’ Edition, we tackled three common problems Rachael’s viewer kids are facing and sought products that seemingly had solutions to help. They tested them at home and returned in studio to report their findings. Honest and real and super adorable, let’s see what the kids had to say! First-ever Rachael Ray Show Kids test out the Human Lab products! THE PROBLEM: YOUR KID WANTS TO PACK A HOT LUNCH TO SCHOOL. You have a child who desires a hot item in his/her lunch during these winter days, like a soup or toasty entrée to warm them up, but often finds that by the time the lunch bell rings the food is too cold or soggy to eat. The Product: Omie Box is a compartmentalized Japanese-style bento box that neatly separates your child’s lunch into sections with space for all of the given food groups: a fruit, a carb, a milk or water box, etc. It also features a lidded, double-stainless steel insulated section that keeps hot food hot, while maintaining a cool temperature throughout the rest of the box, so that child could theoretically enjoy a hot yummy soup while munching on crisp, cold apple slices at the same time. Our Viewer Test: Jazzy is a busy gal with dance classes after school, and needs a fuel-powered snack to sustain her between her classes. Her mother prepared for her a scrumptious teriyaki chicken entrée in the Omie Box and found that it stayed warm until it was time to eat it. Challenges: Jazzy said it was hard to screw off the lid. No surprise here! The vacuum seal of the compartment is a natural occurrence to any thermal type compartment, not to mention desirable, keeping the hot food hot by sealing off any cool air from entering the chamber, and thus also keeping the other compartments of the bento box from heating up from unwanted, escaped hot air. I suggested she ask for help from an adult in screwing off the lid to release the vacuum seal. Last Notes: Though we didn’t test this, conversely during the summer, you could use the insulated chamber to store chilled items like frozen grapes and pineapple chunks or a chilled gazpacho soup to cool you down during summer camp for a cold refreshing treat. THE PROBLEM: YOUR CHILD HAS A HARD TIME WAKING UP IN THE MORNING. Despite a myriad of efforts, my daughter would arise midday every day if undisturbed: it’s merely in her makeup. So if neither a regular alarm doesn’t work to help her get up nor throwing off the sheets, what next? If this will get my middle schooler out of bed, I'm all for it! The Product: This Pressure Sensitive Alarm Clock is a memory foam mat with a built-in alarm clock that they claim you have to stand on for three seconds in order to turn off. Our Viewer Test: Emma placed the mat across the room from her bed and found that this worked in getting her up for her seven a.m. wake up time. Challenges: Both Emma and her parents said the preset alarm music was very soothing (and maybe too relaxing!) and that they wished there was a volume control to make it louder. Last Notes: I suggested perhaps customizing the alarm sound—a feature of the mat—and selecting something as loud, disruptive and disarming music-wise as she could. Furthermore, changing the selection every few weeks would assure that her brain wouldn’t expect the given sound in the morning and wake her up. Still, if she chose not to switch up the sound and stick with the default music, hopefully the alarm would wake her in her lightest stage of sleep, giving her a pleasant wake up experience and thus avoiding jarring her out of her slumber during deep sleep when one feels groggy and often grumpy, which psychologists refer to as sleep inertia. The mat also comes with a snooze function that has the alarm going off every five minutes or so to hopefully help with waking during a lighter stage of sleep. THE PROBLEM: YOUR KID WANTS TO TRY A TRENDY HAIR COLOR. Walking down the street you cannot miss it: rainbow, mermaid or solid bright tresses of hair color! Fantasy hair colors are all the rage, but if you are nervous about dying your young child’s hair permanently per their relentless request, what’s a parent to do? 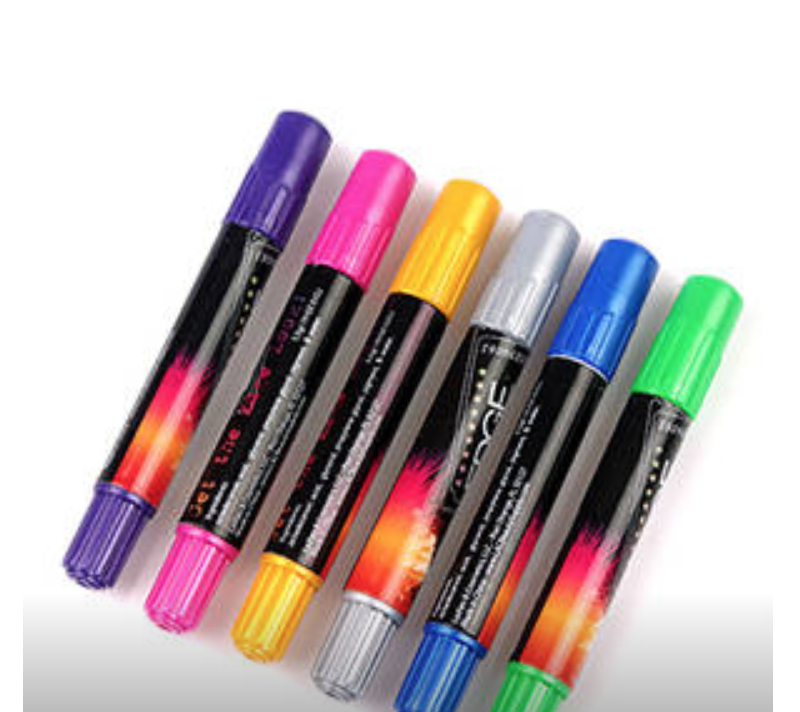 The Product: Edge Blendable Hair Color chalk pens says it provides temporary, washable hues to hair that can last up to three days. Our Viewer Test:With the help of her mother Bridget, Tara applied the hair chalk pens and left in the colors for a few days without washing her hair to see how they would last. Challenges:Tara found the color faded on the third day and that on the underside of her braid facing her back, the color came off lightly on her clothes. Her mother Bridget added they used a dark-colored pillowcase just in case during testing and that the hair color on the clothing came out in the wash, no problem. Both loved it, mom especially for the temporary aspect. Last Notes: The advantage of this easy pen-like application is that you can layer on a little or lot depending on the desired look. The downside is that it is chalk, and if you touch your hair, expose it to the elements or brush it a lot, it is bound to fade. Add to this the fact that kids usually wash their hair every other day or every day if they play sports, it will of course wash out. For Tara, I suggested that if the color faded, she could simply apply more for a deeper color. With Rachael Ray, the fantastic kid testers and their sweet parents on set. The Best Labor Day Deals!